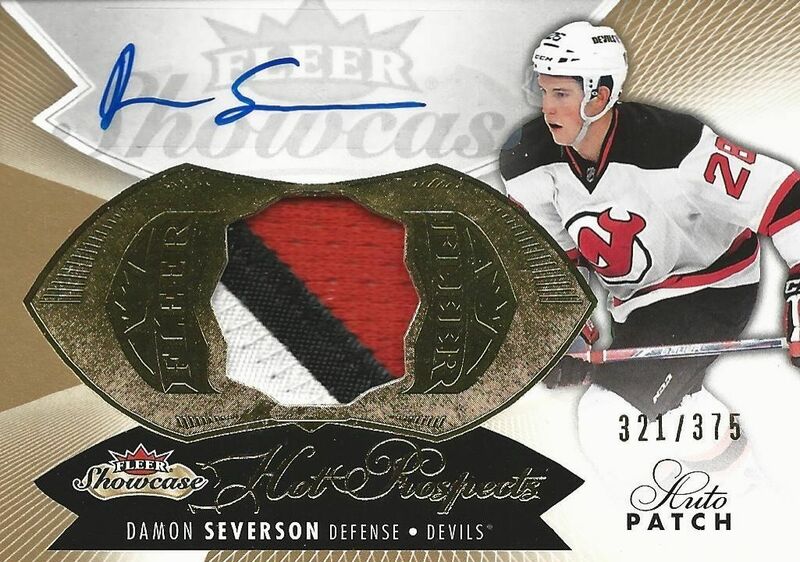 This week Upper Deck released Fleer Showcase Hockey. 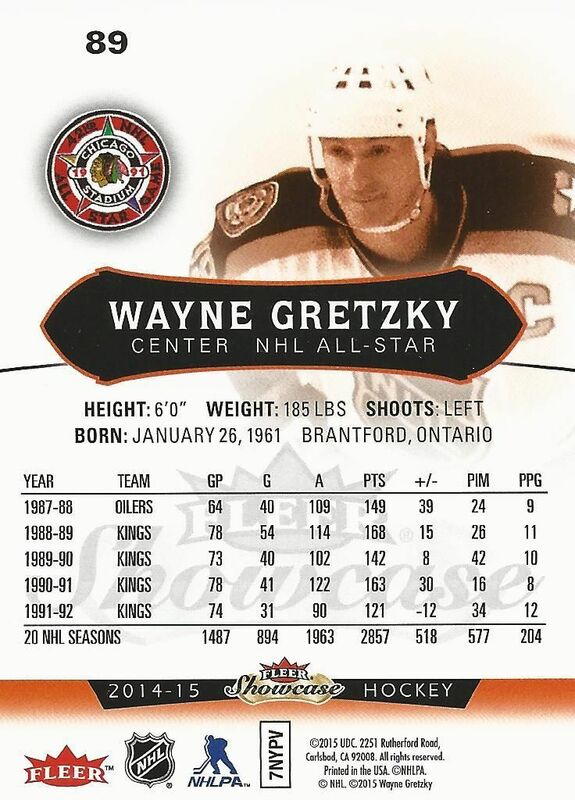 It's again one of those brands that Upper Deck has brought back from the past. Collectors who collected in the 90's and early 2000's will no doubt remember Showcase and the Flair/Metal/Skybox cards found within it. Let's see if this product can bring back some of the glory days of the past! I just have to say first off that I dislike the base cards in Fleer Showcase. To me they look like a weak attempt at a Gold Medallion card. The white backing with the dull gold-ish hues in the background just don't work. There are certainly elements that make this card firmly rooted in Fleer tradition, such as the script name on the edge of the card, but the design doesn't come together well enough. My suggestion would simply be to remove that unsightly gold blotch behind the player and leave the card plain white. It would certainly give the card a more bold look. The back of the base cards don't exactly inspire the feeling of greatness either. They are full-color and feature all the necessities of what a card back should provide... but that's it. Upper Deck seems to have channeled the Fleer brand as it waned late in its life. Let's try for what made Fleer cool in the first place... sweet, unique, and memorable designs that were cutting edge. Hot Prospects Trios put together three rookies and jam them onto one card. This practice was done quite often in older baseball card releases. Having multiple players on a card usually doesn't help the card in any way. I prefer the rookies to have their own card. The only good thing I can see from having these multiple players is for collectors who enjoy finding team specific content. Having three players from the same team could be a nice collectible to have on hand. These cards are numbered to 399. If three players were too many, then perhaps two is better. Hot Prospects Duos also exist in this set. These cards go for the horizontal orientation and are numbered to 299. I pretty much feel the same way about these cards as I do about the triples - I'm just not a fan of them. I just want everyone to have their own card! Here's a card that does it right... the plain old Hot Prospect without the Duo or Trio. These beautiful cards have sweet patches along with a sticker autograph. Though I'm still not a fan of the dull gold color scheme of the card, the design on this card makes up for it. I love the foil surrounding the patch window. It just elevates the card in a big way. These rookie cards are the only cards I really think stand out in a good way in the main set. Collectors can expect to find 3 hits per Fleer Showcase box. One of the hits will most likely be a rookie patch autograph card like the one shown above. Other inserts include base and parallel cards from Skybox Premium, Flair, and Metal. Skybox Premium was a very popular brand in the early 2000's. I think of it as the Upper Deck Series One of that day. The rookie cards were short printed and the cards had a nice solid feel to them. Collectors can find a version of Skybox Premium cards when they open up their packs of Showcase. These cards have a clean design that does justice to the legacy of Skybox. 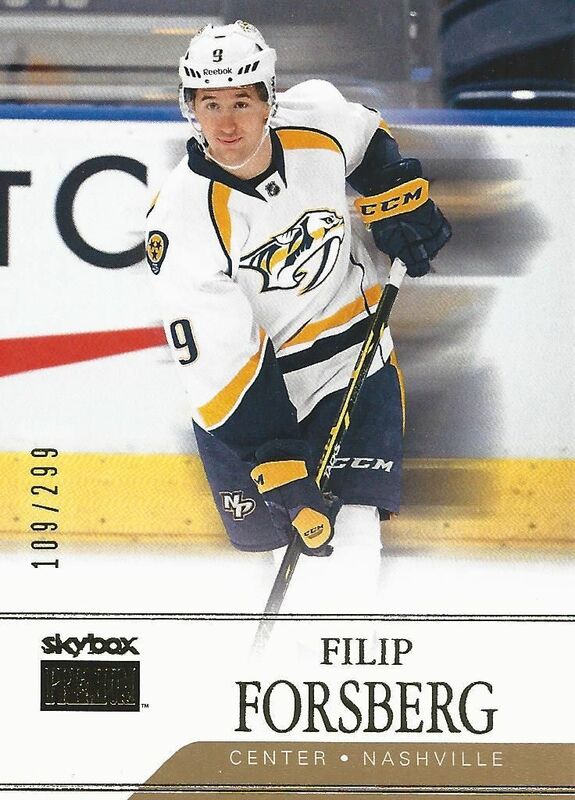 This Filip Forsberg card is serial numbered to 299. 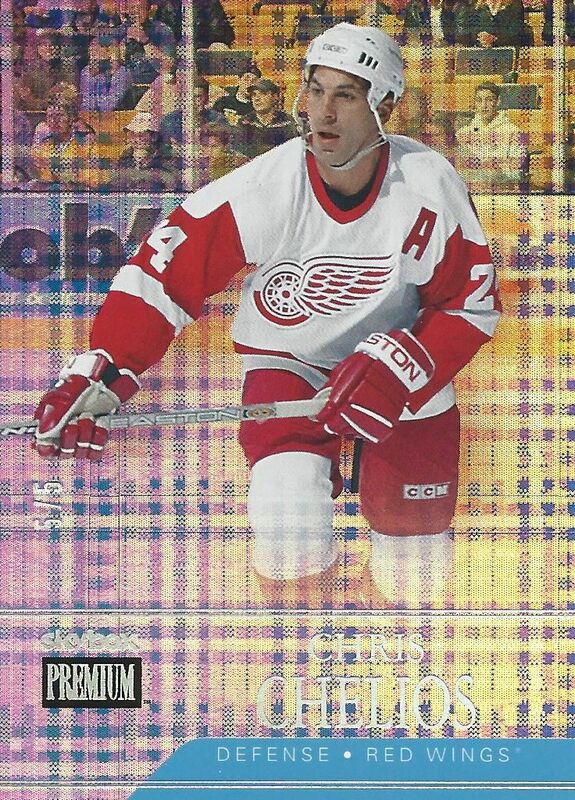 And this Chris Chelios parallel from the Skybox set is numbered to just 5! This was my most short printed card from the box I got. It's a very good looking card with a lot going on when it is in the light. My favorite cards out of Showcase have to be the Flair cards. These cards used to come in packs that were little boxes. It felt so special to open them... and they were on thick card stock. These cards look spectacular. It makes me want to collect a set of them! 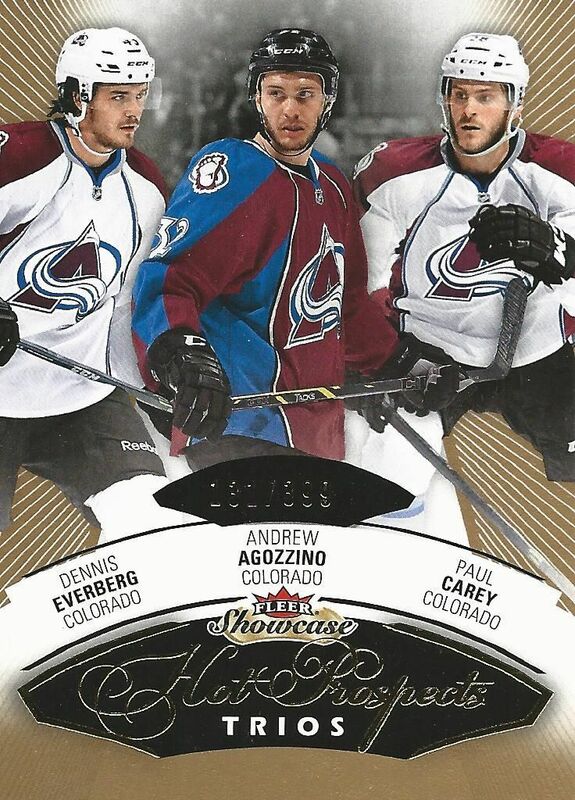 Along with the standard Showcase cards are the jersey versions. These cards have a jersey piece plopped down in the middle of the card. It's a bit rough around the edges the way the jersey piece was handled. Perhaps a bit more thinking could have produced a better way to do these cards. There are definitely other inserts and hits to be found in Showcase this year. Collectors who liked Fleer Metal will be pleased to find these cards in their packs and boxes. Flair Showcase, despite its unpleasing base cards, delivers a very fun break for collectors this year. I had a very enjoyable time opening up my box and seeing all the sweet brands from Fleer's past in it. There is certainly enough reasons to collect Showcase this year as it has some nice rookie auto patches and rare inserts. I would definitely steer collectors towards it to get the treasures it holds. Just forget that the base cards ever happened. I think Upper Deck took last years product and really just fine tuned the design of most of cards. The full rainbow foil on the flair showcase cards look awesome. The one thing I don't like for some reason is the Metal Universe colour this year. I feel like last years product did a better job on those. Fleer showcase looking a lot like it did last year, what I did notice though was that the PMG Blues and reds are both /100??? Haven't seen a green yet, hopefully they're still /10. Congrats blacksheep hope you had a fun time breaking! I agree the base card design is lack luster, but the rest of the set looks nice. I may want to by a box! Nice chelios numbered to 5! Also, I agree with leaving the gold out of the base cards. I'm not a big fan of the base cards. I like that there is a guaranteed patch card in every box though. Sry I put Hockey_Card_Collector as my username for YouTube, it should be Hocky_Card_Collector23. Agree with you an the base too flashy. But I love those inserts. Product looks amazing! All that shine and glossiness on the cards really works. Looks great. Hopefully it sells well. 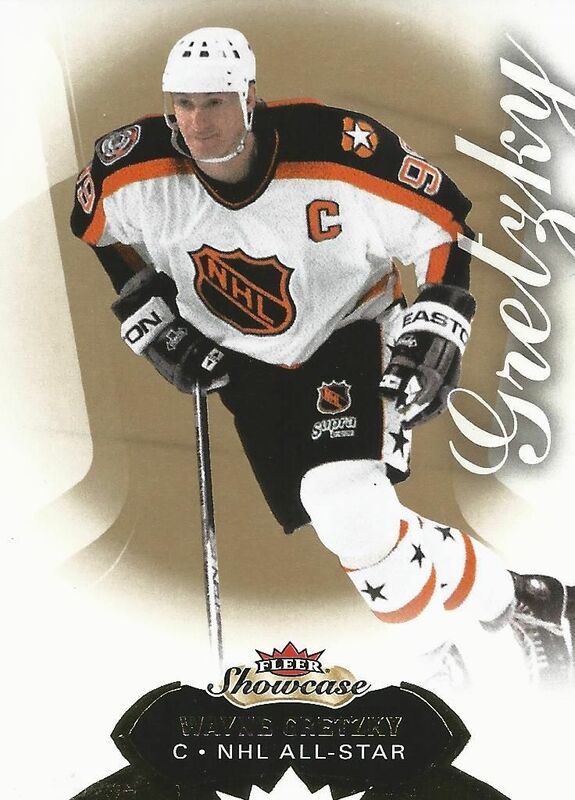 Love the Chelios 5/5 as well as the Beliveau Flair Showcase. Photos do not do justice for how classy the Hot Prospects patch and auto cards are. I am sure they look phenomenal in-person. Nice Chelios and the Beliveau looks really nice! Congratulations on getting a nice box! I'm pretty sure you would get a good amount of money for the Chelios. Nice break! Very nice Kutznetsov! And nice box break as well. 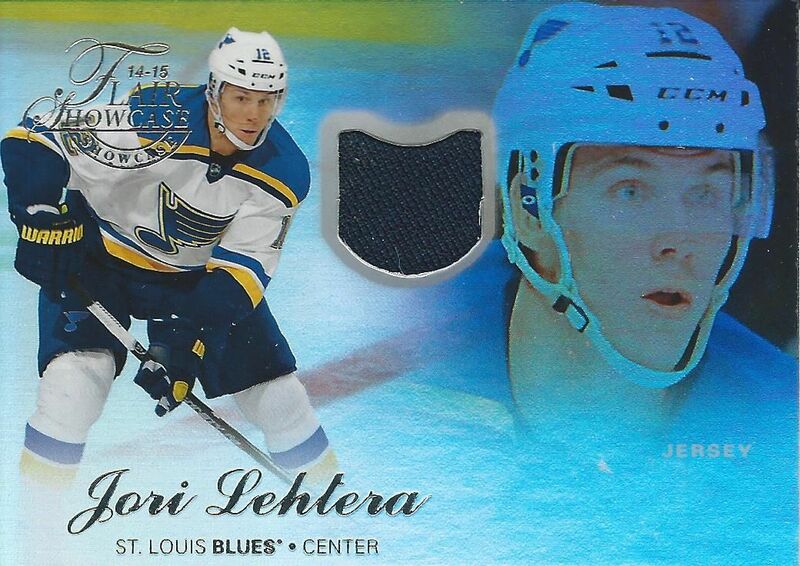 + It's a good idea with the foil jersey cards, which make them feel a bit more exclusive. - The base cards do not look good at all. Thanks for the review and video. The base certainly is dull and ugly. On the other hand the inserts and parallers look really nice. Especially the flair and metal cards. Star ruby parallers are one of the nicest cards around. I actually like the look of the base cards! 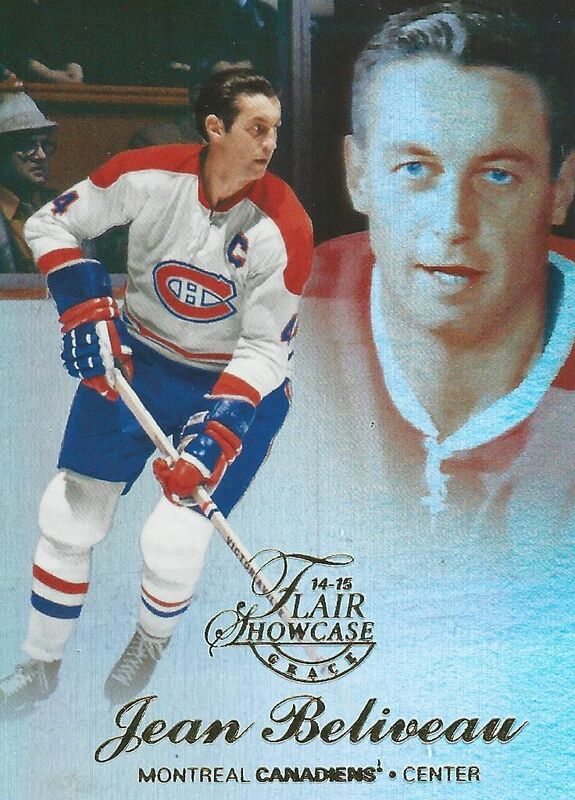 I also love that Chelios and Beliveau card! Product looks good! Awesome video! Id like to see the Base Card design look better as well. Base cards are eh, but you got some great pulls. That Chelios is a beauty, 8/10 for me. Fleer Showcase has always been a fairly decent product for the price. I enjoy the numerous types of inserts that seem to be in every pack. I don't think base design was that bad but it could have been better.